For professional print shops, document binding is still a service that is requested by customers. When you get them, you want to make sure you have the right equipment to manage the project. A manual binding machine is not going to work for you. They generally can not handle many pages. The force needed to punch multiple documents would require more man-hours than necessary. Akiles makes an interchangeable die machine called the Akiles Versamac punch machine. No project is too big for the Versamac. 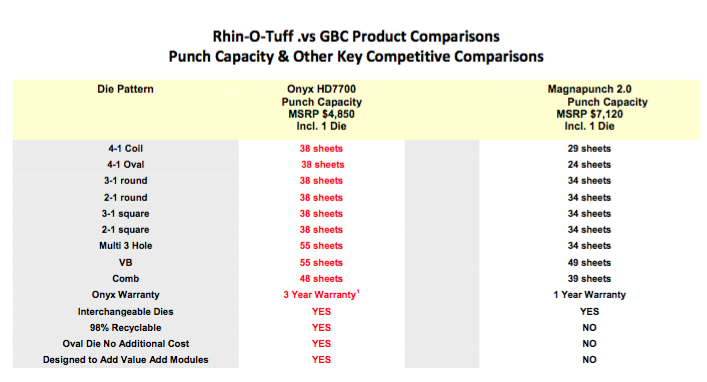 It can handle up to 55 sheets of 20b paper at a time. How? It uses an an induction AC motor that has heat resistant electromagnetic break. It can handle up to 14” single punching length with an adjustable depth margin. It has interchangeable die system for comb, coil, and wire plus many other dies available. It can punch oval, round, rectangular or square punches depending on what you need. You can operate with a foot pedal or a wrist switch. It has an anti-jamming mechanism or reverse jamming function. It is really easy to use. The Versamac comes in 2 machines. The Versamac Punch commercial binding machine and the Versamac Plus binding machine. 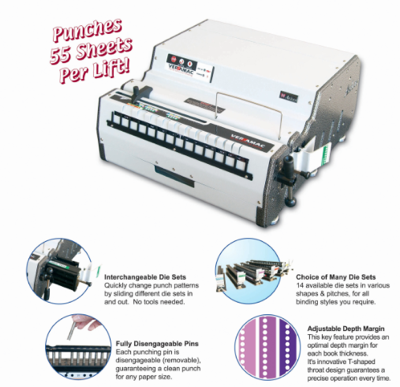 The plus machine provides some automated punch features allowing you to run stacks at a time. This further speeds up the process of document punching lowering your total man-hours needed to run a big project. 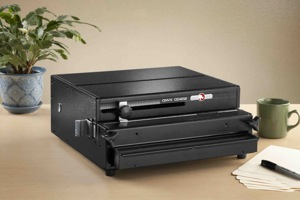 The Versamac is for the professional print shop or office that is running a lot of document processing.